A Bermuda-based writer has published her debut guide to managing and moving on after heartbreak and, ultimately, finding true fulfillment through self-love and spiritual nourishment. In “Life Lessons from a Broken Heart,” author Selina Meade intertwines her personal experience healing after an unsuccessful relationship with faith-focused guidance and reflects on how readers can minimize emotional injuries and move toward a place of empowerment. 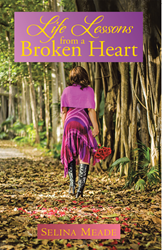 Designed for readers of all ages, “Life Lessons from a Broken Heart” emphasizes the significance of self-reflection in the process of nourishing relationships as well as the importance of viewing new romantic endeavors through a critical lens. However, Meade also highlights the notion that coupling up should not be and is not always the destination for everyone. With references to popular culture and her own faith in God, Meade guides her audience through a tapestry of life lessons and challenges them to be mindful about how they pursue, grow and maintain their romantic relationships. Through “Life Lessons from a Broken Heart,” the author aims to equip readers with the tools necessary to protect their hearts and make positive life changes. Selina Meade is passionate about helping others to navigate the highs and lows of all calibers of relationships. Meade holds a degree in sociology and previously hosted a singles conference in 2014. Raised in Ontario, Canada, she currently resides in Bermuda. For more information, please visit http://www.exsellence.bm.